This week's Community TV show had to be cancelled today as I needed the time to concentrate on my law course. I appreciate some of you may be disappointed but I hope you understand that balancing a 40 hour a week degree and a full time role with Link4Growth isn't an easy task and I promise that next week, I will be back better than every in the video format. This week, you will have to put up with this blog to find out what is going on in SW Herts. I normally end my #CommunityTVShow with shout outs but this week, I feel that it is important to start this week with them. I want to give +Catherine Baldwin a massive shout out this week as she stepped up to host the #Link4Coffee event as the Mercure Hotel in Watford. This was the 1st time that Catherine had every hosted a Link4Growth event and I am delighted to hear some of the positive feedback from the event. What made it even more impressive is that, she did this without an experienced figure helping her. Ideally, I would have helped a new host with their first event but due to circumstances, this was unable to happen. Catherine, I know you enjoyed your experiences and I hope that it won't cost me many more pints of cider to see if we can make this a permanent appointment. The other people I would like to give a shout out to are my amazing community hosts. Running a Link4Growth district is not an easy task and I couldn't do it without a team who support me. These guys hosts the events and explain the Link4Growth message to new attendees. They also provide me with a sounding board for new ideas and tweaks that we could make to improve the #L4G experience. I will be writing a piece in the coming days to give a brief introduction to my team in SW Herts so that people know who the community hosts and why they are doing amazing work. Rather than discuss this in two separate sections I want to focus on the Watford Market this week. For those who did not know, the old market closed its doors on Saturday and brought an end to the market in Charter Place. However, today (Friday 10th October 2014), the New Watford Market opened to its public with much anticipation. Last week, I hosted the last ever #Link4Coffee event at the old market and we used this opportunity to invite a local photographer +Jo Hayden to come and take some photos of the market. This alongside +Chris Ogle's video will provide a lasting memory of how the market use to be. Jo's photo's can be found here and Chris' video found here. Today, the new market opened and my initial thoughts were that it looks modern and more spacious than I initially expected. Whilst this was a 'soft opening', I am sure that it will be getting even busier once it is handed over to the management team on the 31st October. Chris has again used his new toy Google Glass, why isn't it glasses, to give people a tour of the market and the video can be found here. Next week, I am please to say that #Link4Drinks returns to Watford at Moon Under Water on Thursday between 6-9pm. Link4Drinks has been a brilliant event over the last few months and now with host +Diane Richardson stewarding the event, I know things will continue to get better. I am pleased to report that Diane will be hosting guests from Link4Growth Durham and North Yorkshire and Link4Growth Derbyshire and I am sure that this will be an event not to be missed. All the details are here. 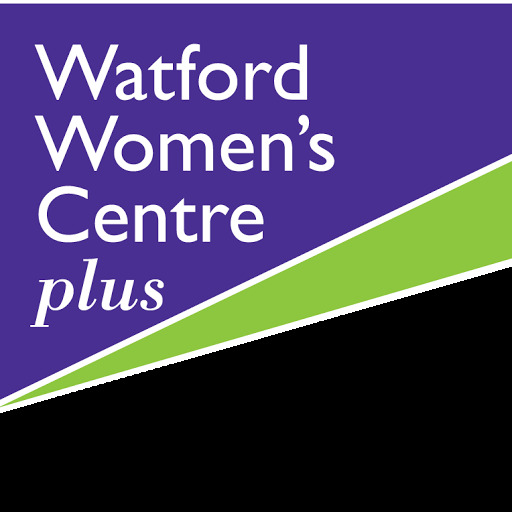 One last piece of news is that November's Link4Drinks has been altered slightly to enable us to support the +Watford Women's Centre's Wine Evening. I for one cannot wait for the event and I am sure that I will be seeing many of the Link4Drinks regulars at the event. Please speak to Diane or visit their Eventbrite page for tickets. I hope you all have a good week and I look forward to speaking to you all on air next week.